Today, living a healthy lifestyle is at the top of our list, and we’re always looking for simple solutions to help us live a better life. I can remember 8 1/2 years ago, when Travis, my fiancé, moved into his first apartment. At that time, I didn’t know how to cook, and neither did Travis. All we ate was fast food, and processed, frozen junk. It was convenient, cheap, and easy, to grab a cup of ramen noodles for lunch, but I’ll never go back to that. Eventually, the fast food diet got old, we both wanted healthy, home cooked dinners. When we moved into our current home, four years ago, I really buckled down, and taught myself to cook. I watched video after video, on youtube, trying to teach myself the basics. I stalked Pinterest, and built up a pretty big recipe collection. I had lots of dinner disasters, but somewhere along the line, I started to pick it up. I didn’t have to constantly look up the basics anymore, I just knew them. I started to branch out and cook with healthy ingredients I never tried before. It was a lot of trial and error, but I’ve found what works for us, and what doesn’t. I cook almost every day, because I want to know what’s in the food we’re eating. When you eat fast food or out at restaurants, you really have no clue what you’re eating. I only want healthy foods, and products with ingredients that I can pronounce, and know exactly what they are, in our home. The same goes for what we drink. 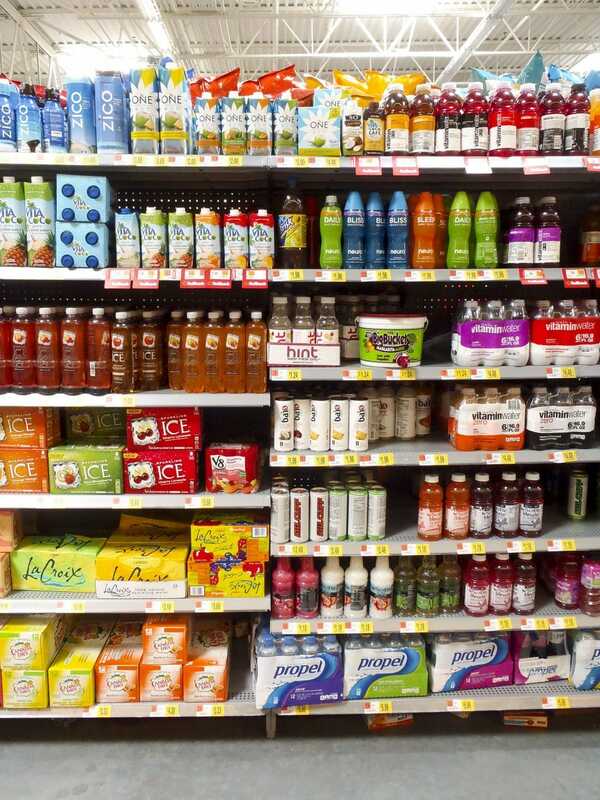 I don’t want drinks that are loaded with sugar or chemicals. I want to know what every ingredient on the label is, and it better be good for us, or it’s not coming in the house! 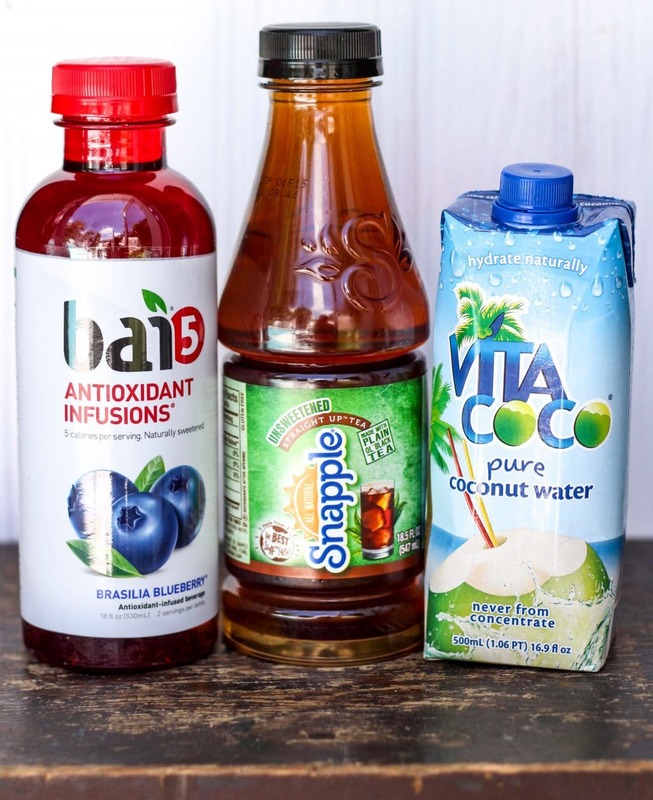 Our favorite drinks to buy are Bai5, Vita Coco Pure, and Snapple. I just picked up a few bottles today at Walmart, they’re very affordable, and I had a coupon to use! You all know how much I love my coupons! 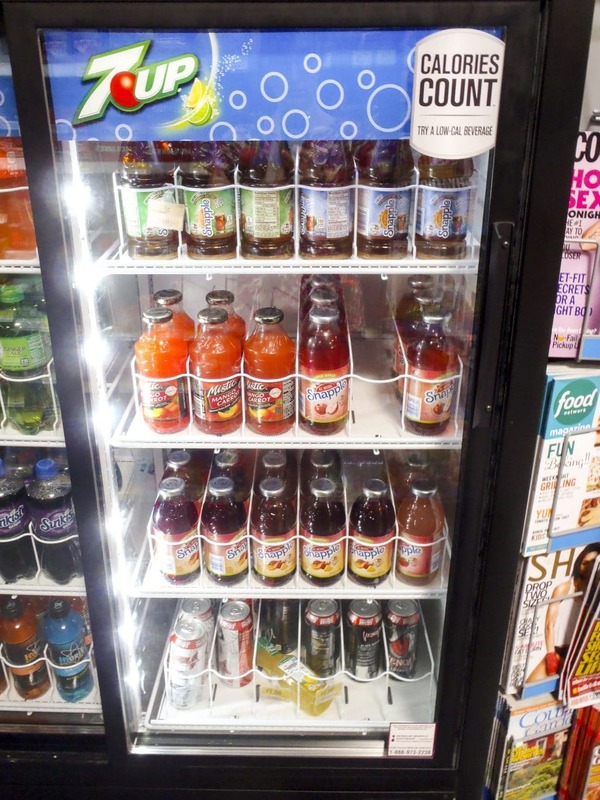 I found the Bai5 and Vita Coco in the Flavored Water aisle, and the Snapple in a drink cooler by the checkout lane. Here’s the coupon I used, so you can save too! You can save even more if you use ibotta, they have a rebate available right now too! If you haven’t used ibotta before, go download it asap, you can get money back on products you buy everyday. As a couponer, I’ll take any savings I can get! I love coconut water, I add it to my daily smoothies, and I like to bring it with us on vacation at Disney World. It’s packed with good ingredients, and it boosts hydration, which is really important on a hot day. Bai5 is super refreshing, tastes delicious, and it’s made from antioxidant rich, organic, coffee fruit. The coffee fruit is the shell that protects the coffee bean! Crazy right, who knew?! I like to drink it by itself, but I also use it to make my own sorbet and fruit slushes. The Barasilia Blueberry and Malawi Mango are my two favorite flavors, YUM. A big issue for us, was soda. I hate it. Can’t stand it. Won’t touch it with a 10 foot pole. As soon as I learned how bad it was, I dropped it like a hot potato. Travis, is another story. He tries really hard, but I still catch him drinking it sometimes. Travis always wants tea, or juice, or something with flavor. I try to explain to him about the sugar and additives that are in most juices, but he still wants it. We mostly drink water at home, but as a compromise, I make him big pitchers of tea, so he won’t go for the soda. Travis has always loved Snapple tea, all the flavors. I like to buy the unsweet straight up tea, add water, fresh herbs and fruit to make him his own batch at home, which he loves. I feel good about him drinking it and he would definitely reach for this instead of a sugar loaded soda! 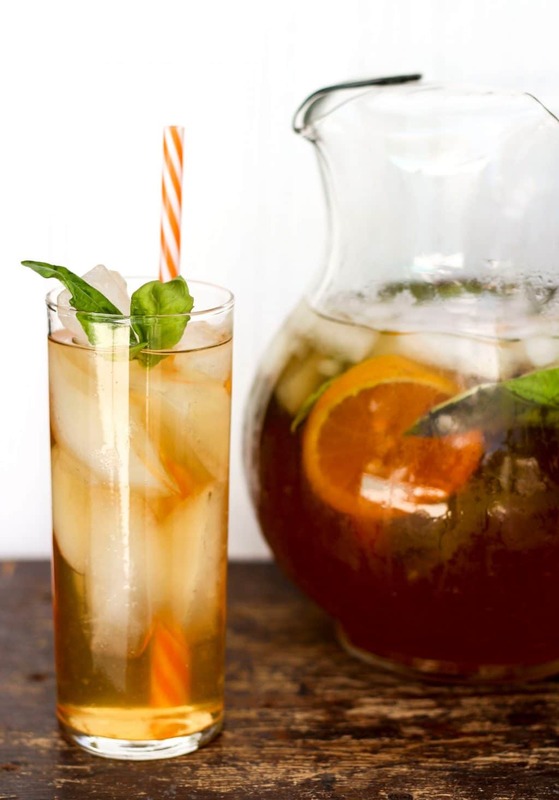 Snapple Straight Up Tea, fresh basil leaves and orange slices meld together to make the most refreshing tea. Pour bottle of Snapple tea and water into a large pitcher. Add honey and stir to combine. Add basil leaves and then muddle it to release the basil flavor. Add the orange slices. Give it a good stir and then put in the fridge to chill and let the flavors meld. 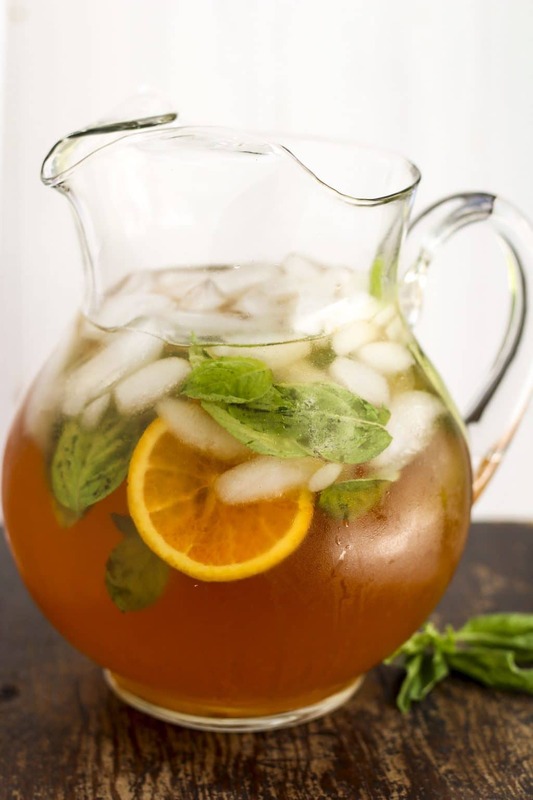 Serve the tea over ice with a basil garnish. 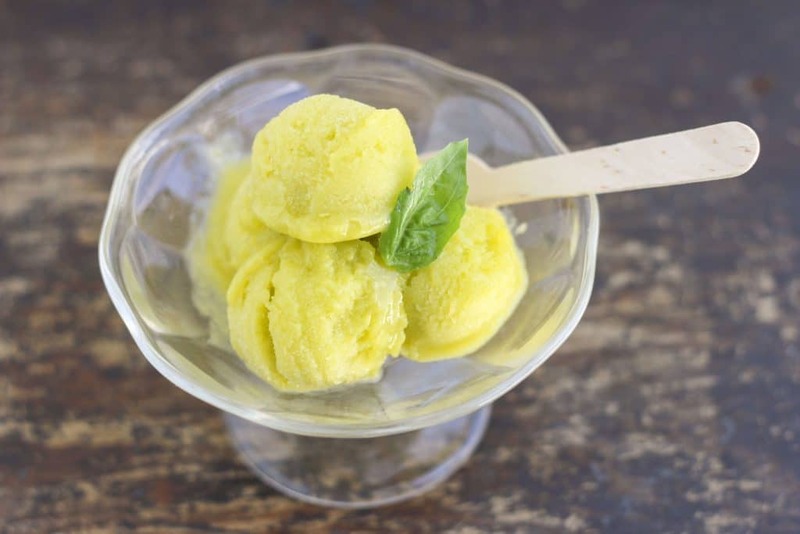 One of our favorite healthy desserts is Basil Mango Sorbet. It’s super simple to make and it’s full of healthy ingredients. I love making recipes that I know are good for me, because I can eat as much as I want! It’s low-calorie and it has no added sugar! 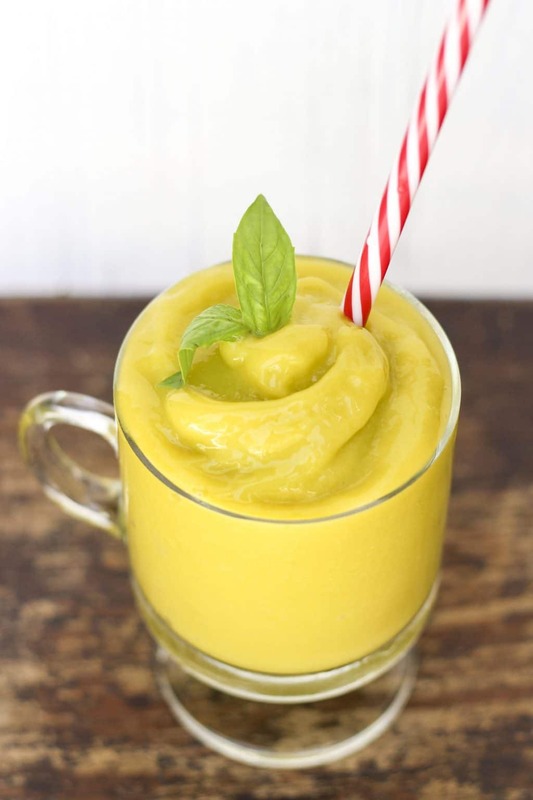 It’s full of sweet mangoes, fresh basil, and creamy coconut milk. I use Bai5 Malawi Mango juice to give it an extra mango punch! It only takes 5 minutes to whip up, and you can forget about it until it’s time for dessert! I use my NutriBullet to blend it, but any food processor or regular blender will work. You just need to get it to a smooth consistency. Nobody want’s lumpy sorbet! The best part? This sorbet is delicious TWO ways! If you don’t have the time to wait for it to freeze, or you just need something sweet right now (like me), just call it a slush! Nobody will know the difference, it’s that delish! 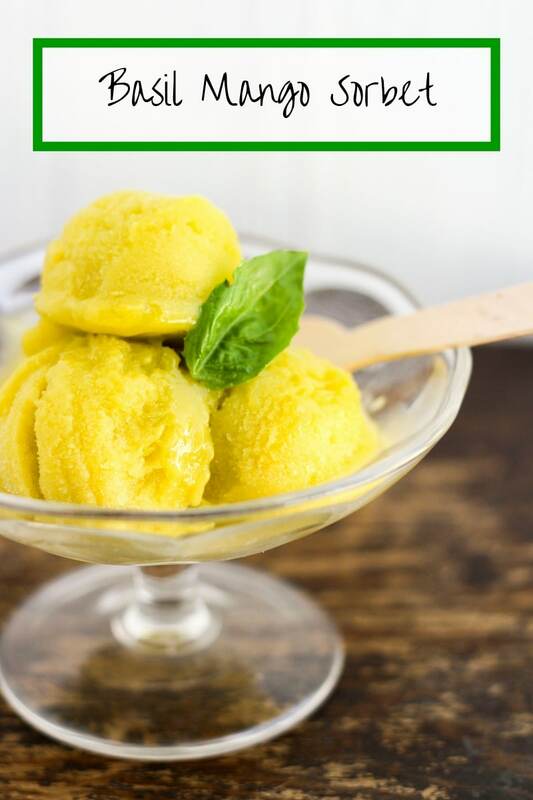 Creamy basil mango sorbet is the perfect simple, healthy snack, or dessert. Vegan. 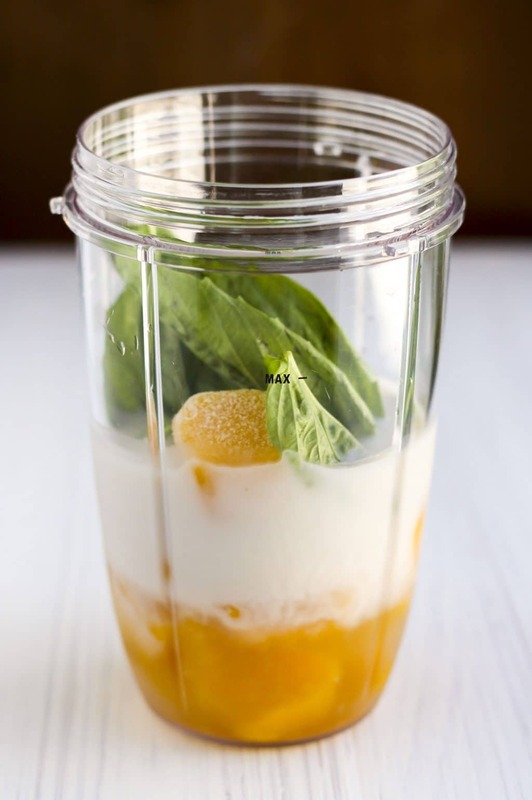 Add the frozen mango chunks, Bai5 Malawi Mango juice, coconut milk and basil leaves to the blender. Blend until completely smooth, no lumps! Enjoy immediately as a slush, or freeze for 4-5 hours to let it set up. Scoop with a cookie baller to serve. If you’re having an end of summer pool party or BBQ this week, this sorbet is the perfect dessert! Make a large batch in the morning, it will be ready by the time everyone’s ready for dessert, run in and just scoop it out into individual cups. I always try to serve healthy, easy recipes at parties, so I don’t get stressed out. 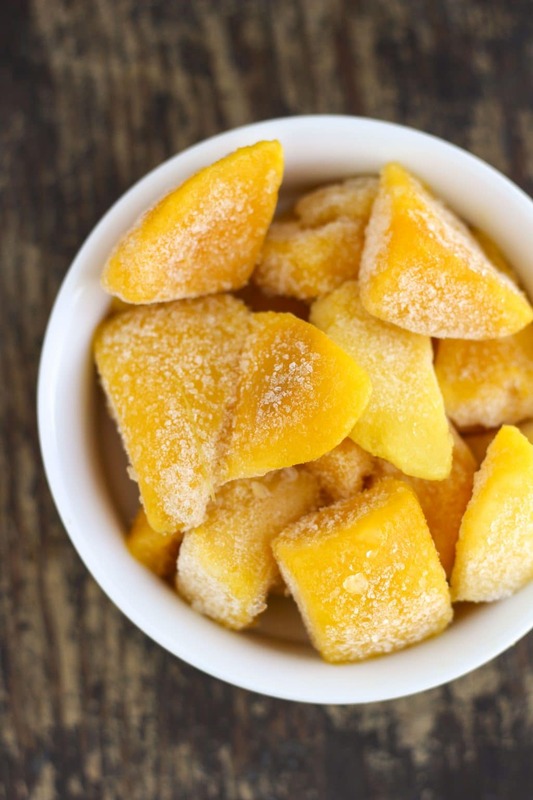 This sorbet is always a crowd pleaser! Don’t forget to enter the #SipAndBeFit Sweepstakes! Which drinks are your favorite? Do you like to make your own recipes with them? Let me know in the comments! 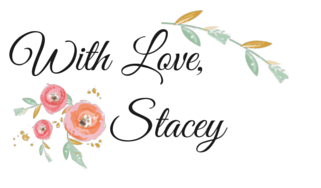 Never miss a Stacey Homemaker creation!